I actually read this book before I realized there was going to be a movie. Now that there is an entire movie trailer that can explain this story better than I ever could, I’m not sure my review is entirely needed. I will say this, if you haven’t seen the movie yet, READ THE BOOK! It’s so, so worth it. 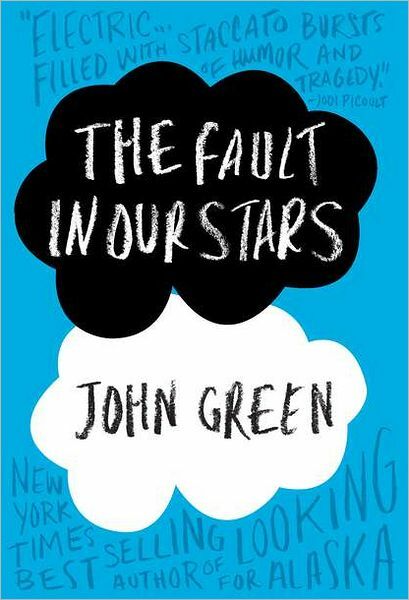 Hazel and Augustus are the type of witty and intelligent teenagers you wished you knew in high school. When Hazel, who is living with terminal cancer, meets cancer survivor Augustus at a support group her focus is shifted away from her diagnosis to the life she was meant to live. A life that will take her places she never expected to go. Hazel’s diagnosis plays a big part in her life, however the majority of the story is focused on those little things in life that we often take for granted or don’t realize we’re missing. John Green’s words pull you in and make you fall in love with not only the characters, but life. Very rarely do I come across a book where I empathize so much with the characters and I just can’t stop turning the pages to sleep. Although you will likely find yourself an emotion wreck at times, I was left feeling nothing but joy at the end of this beautifully tragic story.